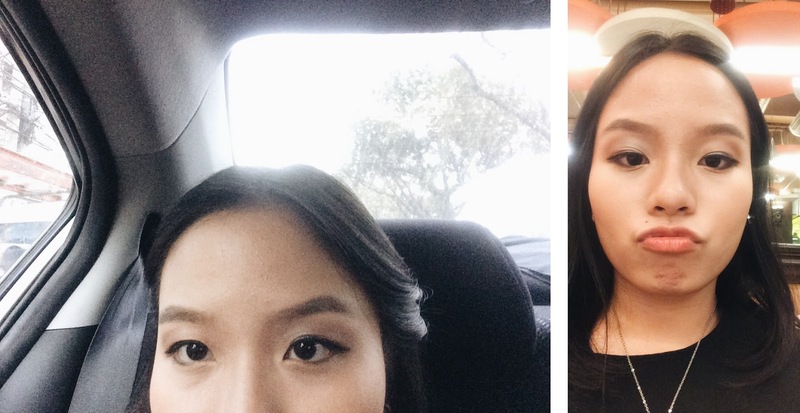 For a first timer and scaredy-cat like me, I'm more than afraid to try eyebrow threading. Based from my friends' experiences, it would really hurt more than underarm waxing. (Did you know that I always struggle on my underarm waxing treatments???) My therapist even told me that I will never manage to finish it off. I also heard testimonies that they didn't get to finish a threading procedure just because it would kill them to. It is very crucial for me to choose a salon that would really cause minimal amount of tears and nervous breakdown. It's been months of constant contemplation if I should really get my eyebrows done since I'm no fan of makeups. Unless it's a good quality makeup, I'm open to trying it out. When it comes to injections and other body-related medical/beautification procedure, I am in a deep frantic as well. I'm actually the type that would go along just fine with what I already have in born. 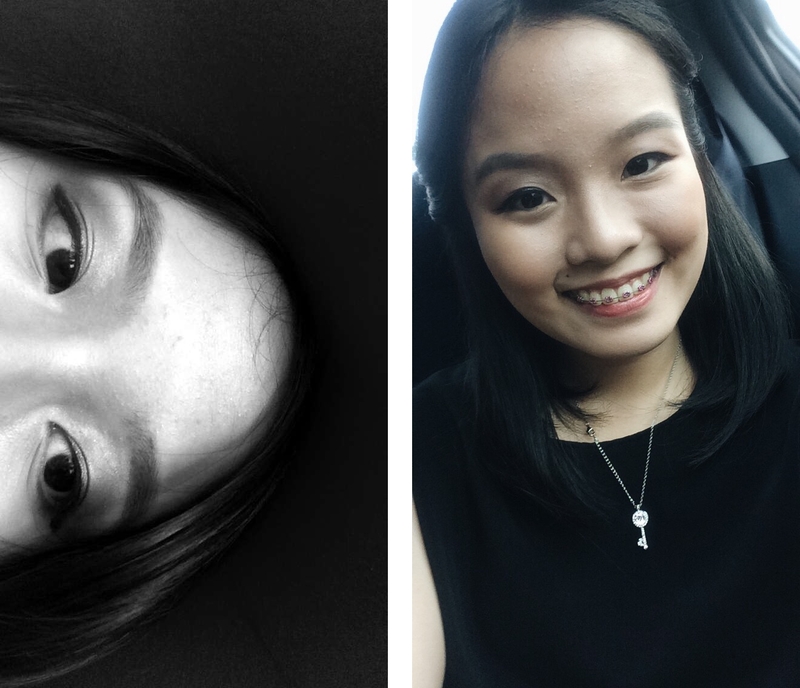 But entering the world of blogging and modelling, you have to walk lot of avenues to discover more and help other girls like [me] to exit their comfort zones. Plus the rising fact that my uncle keeps on bullying my ugly brows.... Oh well, as the famous filipino tagline calls it, it will really be a "tiis ganda" moment for me. Part of me was so excited that I get to collaborate with an internationally expert brow salon, and part of me was still nervous. So waking up on a holiday, I decided to go for it. Browhaus have offered me a complementary Browgraphy Treatment. It includes the classic threading and color tweak. The staffs are well trained as they know what the customer needs and suggests the possible treatments and outcome, they're obviously very critical in what they do. Browgraphy is the combination of two services: Brow Shaping and Color Tweak. It will cost you Php 1398. Color Tweak: adjusts the color of your brows to your preference, using vegetable dye for 100% safety and maximum comfort. It only takes 10-15 minutes to alter your appearance. Lighter brows have a softening effect while darker brows sharpen features and add definition. My browhaus architect suggest a dark brown as it will look best with my natural hair color. Brow Shaping: is a necessity for perfectly tinted brows to be groomed and shaped to complement your facial features. You can choose from classic threading, modern tweezing, or thread + tweeze. Mine was both. I do recommend Browhaus: The Brow Salon in any of your possible brow treatments. Their procedure is entirely different (based from an experience comparison with my coleagues). It's perfect for those who don't know how to shape their brows and who want's to dye their brows a bit. Of course! Definitely, time will come that I will really have to go back for another shaping. But I think that I will not have a browgraphy session any time soon as it was really expensive for me (knowing that I'm just a university girl). However, I personally believe that it's worth the money. Thank you again, Ms. Monique Jamlang of Browhaus for making this possible! 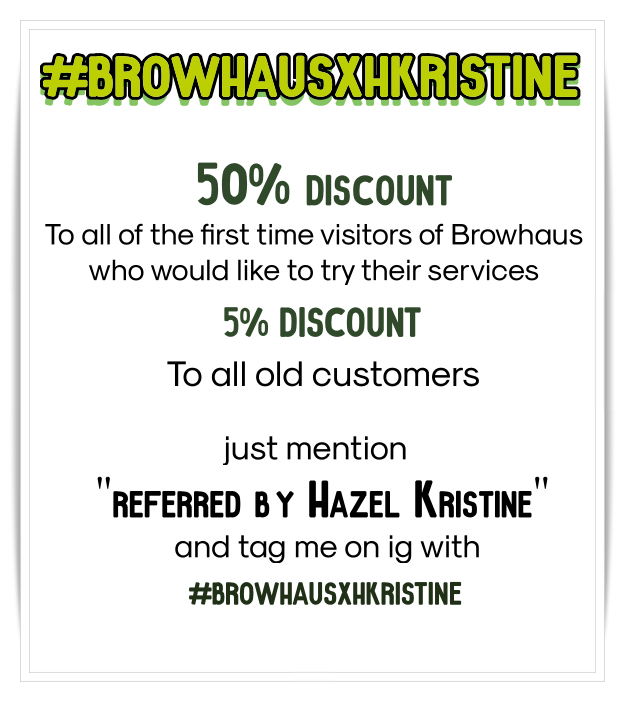 And to my Browhaus architect who have made me even prettier, thank you! Never underestimate the transformational power of a pair of well-designed brows. At BROWHAUS, we take our brows seriously – we believe that there’s always a way to make your arches the best they will ever be. Whether your brows have been likened to a lush bush or a sparse desert, we know how to design them so that they enhance your best features – you’ll be surprised at how different you could look with arches that effortlessly complement your features, skin tone and hair color. And that’s not all. The BROWHAUS menu includes complementary beauty treatments for the lashes and face, so prepare to step out of our boutiques truly transformed.